Fall has arrived and along with the shorter days, colder weather and rain comes the season for influenza-like-illnesses (ILI) and pneumonia. This article includes updates from the Oregon Health Authority (OHA), Centers for Disease Control and Prevention (CDC), and flu-related highlights from the Advisory Committee on Immunization Practices’ (ACIP) final meeting of 2015. The OHA monitors flu activity in Oregon and reports weekly on the number of incidents and spread of ILI throughout the state from the first day of the 40th week of the year through the last day of 20th week of the following year. This year flu activity reporting began on September 28, 2015 and will end May 22, 2016. The FluBites report for week 44, ending November 7, 2015, reported no positive influenza tests, a minimal level of ILI activity, and no reported outbreaks. The CDC monitors flu and pneumonia activity in the United States all year long but they report weekly on the incidents and spread of these illnesses throughout flu season. There is a lot of good news this flu season. Here are a few of the highlights from the CDC weekly report as of week 44, ending November 7, 2015. This year’s flu vaccine offers significantly more protection than last year’s vaccine because it includes two or three additional flu strains in the vaccine mix and those strains are similar to the circulating strains of flu this year. The percentage of respiratory specimens testing positive for influenza in clinical laboratories is low. Of the 10,271 specimens tested in week 44, only 1.2% of the specimens were positive for influenza viruses. None of the 2015 tested influenza viruses in circulation were found to be resistant to the three major anti-viral medications. A new influenza vaccine currently under FDA review was discussed. The new vaccine, an adjuvanted trivalent vaccine, is expected to enhance immune response and have a safety profile similar to other licensed vaccines. 1 DiazGranados C A, et al: Efficacy of high–dose versus standard–dose influenza vaccine in older adults. New England Journal of Medicine: 2014;371:635–45. Available at: http://www.nejm.org/doi/full/10.1056/NEJMoa1315727?query=featured_home& Accessed 5 November 2015. 2CDC. Fluzone High-Dose Seasonal Influenza Vaccine. Questions and answers. Available at http://www.cdc.gov/flu/protect/vaccine/qa_fluzone.htm Accessed 5 November 2015. Each year the A strains that begin on the East Coast die out over the Mid-West allowing the B strains to take the lead somewhere over the Rockies en route to the West Coast. 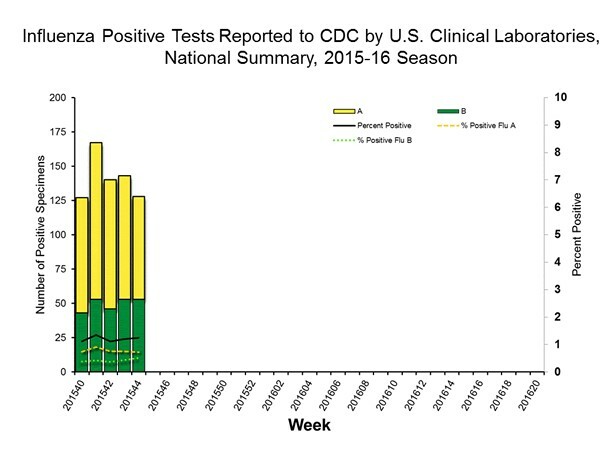 Every year the Centers for Disease Control and Prevention (CDC) begins tracking the influenza (flu) season in early October and select the vaccine strains that will be used to manufacture vaccine around February. If a strain drifts into a new influenza virus after the vaccine manufacturing process begins, the new strain will not be included in the current season’s vaccine, but the vaccine will still protect against the other most deadly strains identified during the winter season in the southern hemisphere. 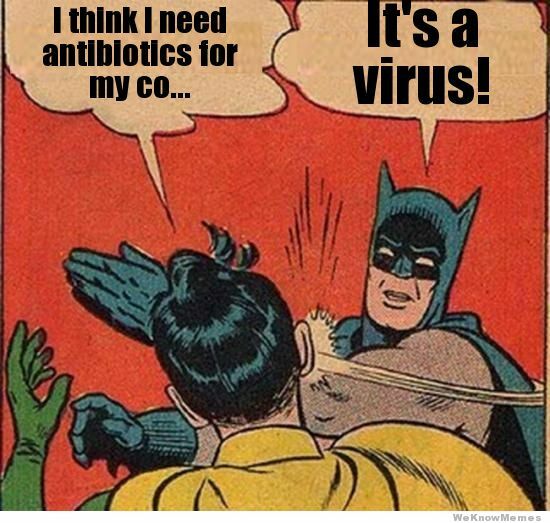 The CDC reported that among the 2014-2015 seasonal influenza A viruses, 52,518 (50.1%) were subtyped; 52,299 (99.6%) were influenza A (H3N2) viruses, and 219 (0.2%) were A (H1N1) pdm09 viruses. 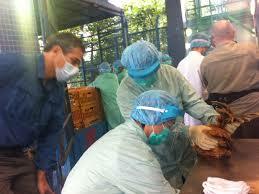 In addition, three variant influenza A viruses (one H3N2v and two H1N1v) were identified. In response to the CDC findings, this year the 2015-2016 flu vaccine mix has two or three new strains included. We all know that flu activity in Oregon varies from month-to-month with cases peaking in January or February of most years. In the news media, and in many clinics, the winter months are collectively called “flu season.” This reinforces the belief that you can’t get the flu in the spring or summer. Oregon sees a baseline number of flu cases all year long. Plus, Oregonian travelers visit locations around the globe. In the temperate regions of the southern hemisphere, flu activity increases in May and continues during our summer, peaking around September. Flu cases in the tropics peak during the rainy season, usually in June or July. Cruise ships are frequently in the news for disease outbreaks. Recently, the culprit appears to be gastroenteritis-causing norovirus, but influenza is also a commonly carried passenger. Centers for Disease Control and Prevention (CDC) data shows that flu isn’t just a winter virus. 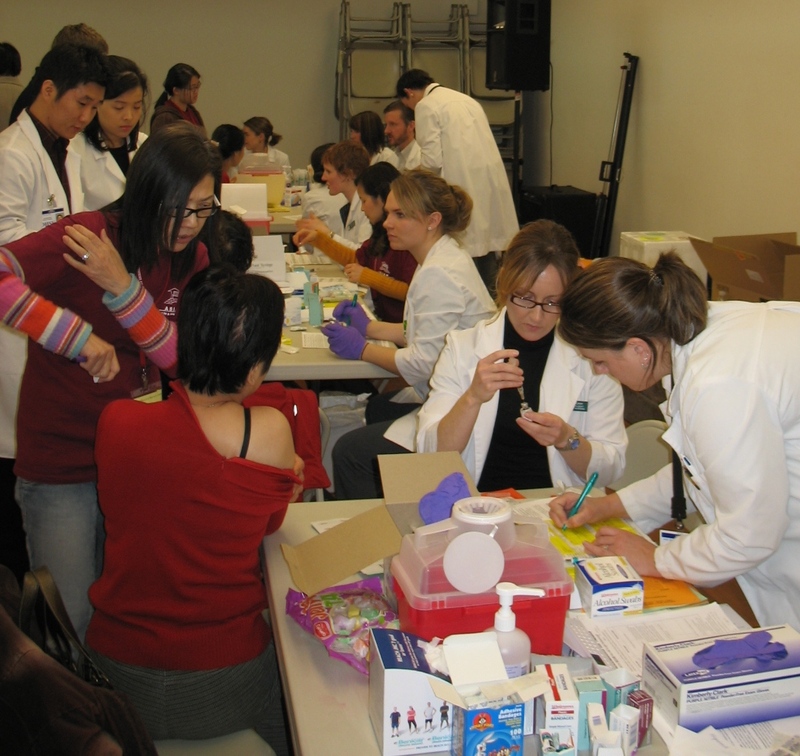 Between May 19 and September 28, 2013, the United States saw 2,013 cases of laboratory-confirmed influenza. It isn’t too late to protect your patients with flu vaccine, even if the numbers of cases in our area are decreasing. Most flu vaccine doesn’t expire until June 30 and it’s important not to waste it. Now is the perfect time to administer the second dose of flu vaccine to children who need two doses but have only had one this year. Plus, this is an opportunity to vaccinate and educate anyone who hasn’t had a flu shot yet. The CDC recommends that everyone six months and older receive an annual flu shot -even if they tell you that “flu season” is over. It all started when FluMist3 added a second B-strain to their live attenuated influenza vaccine making the first quadrivalent influenza vaccine for the U.S., LAIV-4. There won’t be any LAIV-3. The previous TIV family of vaccines is now Inactivated Influenza Vaccine (IIV). There will be a mix of trivalent and quadrivalent injectable influenza vaccines available; IIV-3 and IIV-4. What does this mean for right now? Unless your vaccine buyer made purchases last fall for these new formulations you may well only carry IIV-3. Just keep in mind that these and others may be available later this year and available for ordering for the 2014-2015 season. See the table for the 2013-2014 season here. •	There are seven (7) IIV-3 regular vaccines from chicken eggs. •	There is one (1) ccIIV-3 cell culture vaccine. •	Keep in mind that influenza vaccine is recommended for all individuals’ ≥6 months of age with at least 17 different presentations from which to choose. 1. Donabedian, A. 2012, United States Department of Health and Human Services. Prospects for sustainable influenza pandemic preparedness. 2. Interim Recommendations: Prevention and control of influenza with vaccines: Recommendations of the Advisory Committee on Immunizations Practices, (ACIP) 2013. 3. Vaccines, Blood & Biologicals. February 29, 2012 approval letter – FluMist®Qudarivalent. 4. Vaccines, Blood & Biologicals. June 7, 2013 approval letter – Fluzone Quadrivalent.